This is my secret confession. When I was 17 I discovered a collection of biographical stories of ordinary gay men called “Being Different.” I bought it second hand and read it compulsively, over and over again, but always in secret. It was edited by Garry Wotherspoon, and it had a tremendous effect on my growing up and coming out. He has remained one of my heroes, and, I discovered when he came to see me today, my story has been repeated to him by other people. It was a groundbreaking book, and it certainly helped young Queer Australians re-assess their history. He had staked out a new vision of history in which outlaw voices found a place in the national narrative. So I was somewhat in awe of the slender and dapper man who sat in front of me in the grand green velour chair in Tom Keneally’s office. I needn’t have been. Garry Wotherspoon is about as charming and personable as they come, and, for a living legend, he is delightfully naughty and irreverent. I was developing a crush. 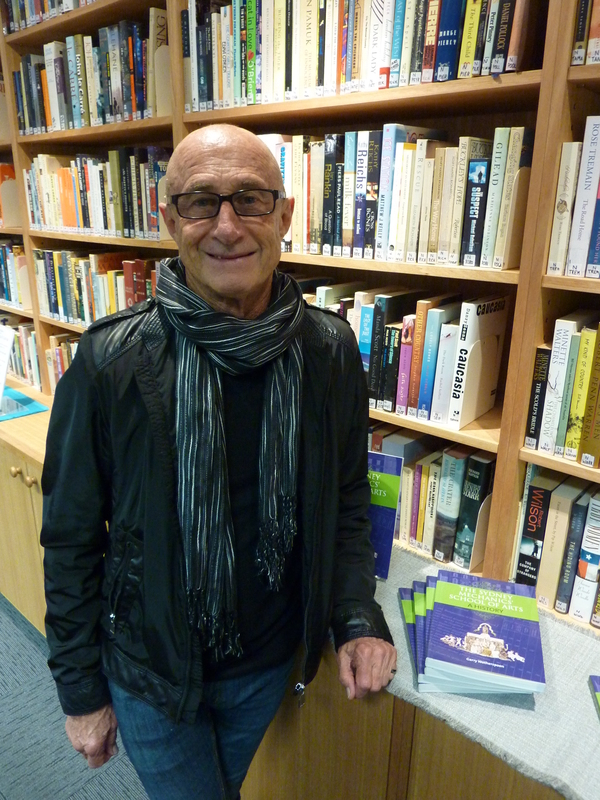 He has just published a fascinating and idiosyncratic history of the Sydney Mechanics’ School of Arts, one of this city’s longest-lasting and most venerable institutions, and the very place that has hosted my visit today. This new history is filled with wonderful stories of the great characters and numerous eccentrics (including one notable murderer) who have helped create this place. And I can’t wait to read the fruits of that exploration. It’s not every day you get to meet one of your heroes, and even rarer that they are twice as fabulous as you could ever have imagined. The world needs more like Garry Wotherspoon.